Pokemon Go: Things No One Noticed While Catching Bulbasaur! With massive downloads surpassing Tinder and Twitter, it’s as if all hell broke loose when Pokémon Go was unleashed to the public. It literally took seconds to spark the flame of worldwide mayhem, where almost everyone, except me and some rare few, is playing Pokémon Go like there’s no tomorrow. Our office had around 10 Pokemons and I can’t even begin to explain how our entire team went about fetching them as part of our work plans. 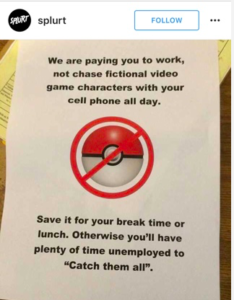 Imagine this, multiplied by hundreds of thousands of lost souls on a mission to catch them all. I really don’t get the point behind the game or why people are overly obsessed with it, but maybe that’s just me. However, while everyone was busy catching their Bulbasaur, a couple of things went wrong and unnoticed. Did you know that you gave Niantic access to everything in your Google Account? YES, EVERYTHING, as in sending e-mails on your behalf, or even changing your account altogether. Thanks to a viral Tumblr post by Adam Reeve, who works at Redowl, attention was raised about the game’s default account permissions, revealing that players who sign in through Google grant Pokémon Go’s parent company Niantic Labs access to the entirety of their account data. It took Adam some time to get to Niantic and get them to respond to this huge security breach that no one else had spotlighted. It makes you think about all the apps we download and all the information stored on our smartphones and linked accounts that are not as private as we think they are. It makes you wonder if it was a calculated choice or just an honest bug. Although it’s a leap to claim that the company would use your information for unethical purposes, they did prove that our data is extremely vulnerable and exposed and that the public is all too willing to hand everything over for the sake of nostalgia and entertainment. 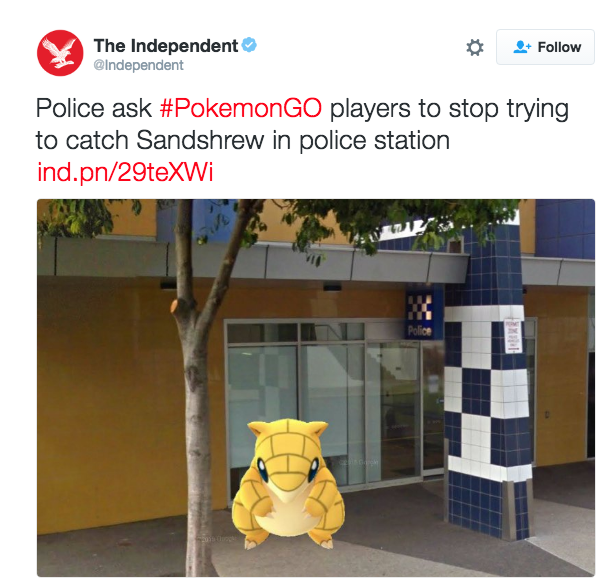 Sneaky move, Niantic! It was huge for Niantic to admit to such a critical “bug”, and only after Adam’s post! This shows that user feedback is crucial and if they hadn’t failed at responding to Adam, it wouldn’t have grown to such a public issue. People are getting seriously hurt as they go extra miles to capture Pokèmon, from people getting arrested for armed robberies in Missouri, the discovery of a body in Wyoming, to injuries and deaths of fans distracted by the app. “Using the geolocation feature of the Pokemon Go app, the robbers were able to anticipate the location and level of seclusion of unwitting victims,” O’Fallon police Sgt. Bill Stringer said. While it’s a cool game for some, it can also be used as a way to fool other people and hurt them. It’s strange enough that people hurt themselves while playing, but people are also using the app for bizarre criminal reasons. “We encourage all people playing Pokemon Go to be aware of their surroundings and to play with friends when going to new or unfamiliar places,” Pokemon Company International and Niantic said in an e-mailed statement. Yes, the world is a big fan of the sensational ’90s cartoon and game! But make sure to know your rights and play responsibly. And definitely don’t Pokémon Go and drive!